I really am not, as I generally try to find the positive in any situation, look on the bright side, and endorse a general "Pollyanna" attitude to life. But on occasion something irks me so much that I can't help but comment - and this is one of those times. People, we have a problem in Fort McMurray. We are in some ways still a remote community, dependent on services to bring the goods we desire here. While many of us, including myself, try to shop locally, on occasion we need to reach out to retailers outside our community to supply us with the items we need. And we are so very fortunate in this world of the internet and online shopping in that this is easier than ever before, and with a point and a click and a Paypal account we can have items zooming on their way to us...right until they hit the bottleneck point, and an area where it seems I am not alone in my frustration. Everything goes along swimmingly - right until the delivery part. I have been watching with alarm as people report increased dissatisfaction with local shipping companies. And there isn't a single one that I haven't seen a complaint about on various social media. From our venerable Canada Post to private shippers I have seen complaints about lost packages, delays, poor service, and overall concern with how parcels in our community are handled and delivered. And it isn't just items we have bought, of course, but gifts that are going astray or being delayed. Yesterday I took to Twitter in my frustration when a parcel I was waiting for was returned to the sender in the USA after being held for ten days by a private shipper. Unfortunately, though, despite their claim that a delivery attempt was made, I received no notice card or other notification that my parcel was here, and so I am now short of some much-anticipated gifts as well as shipping costs, as the retailer is unlikely to refund those to me. I vented my frustration and what I received in return was dozens of messages about similar experiences and even worse. Houston, we have a problem. I think we have come to accept poor service in this regard, and I think perhaps the management at various shipping companies have come to accept lackadaisical behaviour and work ethics on the part of their employees. And I will be very honest as I think attitude is a "top down" practice, and the dispirited attitude I have seen in some of the shipping company employees I have interacted with indicates a serious dissatisfaction with their current situation. 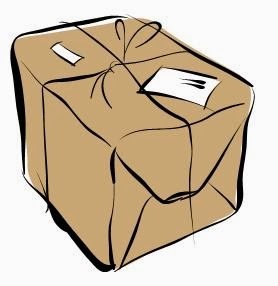 I'm not sure what is going on behind closed doors at these companies, but what is being seen externally is lost packages, delayed shipping, and a general lack of concern about the continued patronage of those who use their services. Ah, there's the rub, isn't it? Perhaps they know they have us over a barrel, and that options are few. Perhaps this inspires the lack of competitiveness in service, because they know we have to use someone to ship our goods, and the options are not infinite. I admit I don't know what the solution is, as a boycott of shipping services is unlikely to work as we are so reliant on them. Shouting and yelling doesn't do much good either, and the issue does not rest with one individual so it seems pointless and unfair to yell at the person standing in front of you even though they may be part of the problem. The reality is that they are also part of the potential solution, so how do we encourage them to do better? I don't know really. I'm open to suggestions. I know for myself I am contacting these companies with my concerns and complaints - but I will also be commending them when they do well, because I believe in positive reinforcement, too. I continue to believe that things can be improved no matter what business you are in, and I am hoping, perhaps naively, that this post acts as a clarion call to our local shipping services that there is an issue, and that they can do this better. 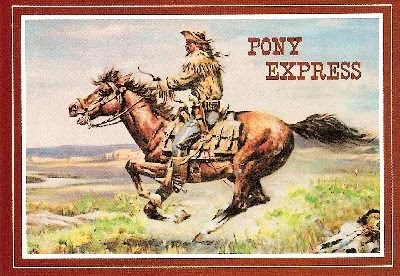 Now I am going to re-order those gifts that were so unceremoniously returned - but this time I think I will ask if they could send them by Pony Express, as at least they were known for their reliability, if not their speed.